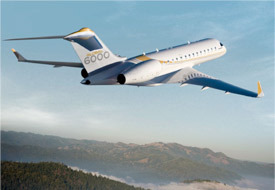 THE GLOBAL 6000 IS EQUIPPED WITH AN INTEGRATED FOUR TUBE 15.1” LCD COLLINS PRO-LINE FUSION AVIONICS SUITE. 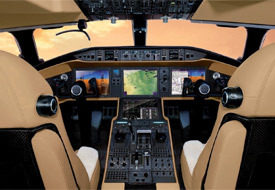 PRO LINE FUSION FOR THE BOMBARDIER VISION FLIGHT DECK WORKS IN CONCERT WITH ROCKWELL COLLINS HEAD-UP GUIDANCE SYSTEM (HGS) WITH SYNTHETIC VISION. 13 PASSENGER CONFIGURATION FEATURING A FOUR (4) PLACE CLUB IN THE FORWARD CABIN AND AN EXECUTIVE WORKSTATION FACING A 4-SEAT CONFERENCE TABLE GROUPING IN THE MID COMPARTMENT WITH A THREE (3) PLACE DIVANS IN THE AFT CABIN OPPOSITE TO DUAL SIDE FACING SEATS. THE FORWARD SEAT IN THE AFT DIVANS ARE NOT CERTIFIED FOR TAXI, TAKE-OFF, AND LANDING. 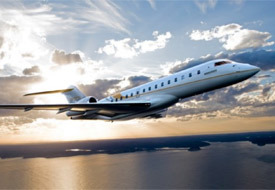 © 2019 Equus Global Aviation.